How Personas Work - A.Y. Technologies Inc.
Personas are a way to personify and share research about users that have been observed in research. The persona that is created is not representative of a single person or a real person, but rather a blend of observations across many people that exhibit similar behavioural patterns in say – their purchasing decisions, their preferences, tech abilities, lifestyle choices, belief systems, behavior, attitudes and motivations. They are representative of your audience for whatever service you are designing, be it a website app or other product. Personas are generally given an age, gender, education and other types of demographics, but their “type” is greater than those superficial traits. Personas represent a type of customer. They are the answer to the question, “Who are we designing for?” and are a key component of Goal Directed Design. They also capture a person’s motivations through both qualitative and quantitative research that help get to the essence of who they are, what they are trying to do and why they want to perform that action. These are used when there is no money or time to create true research based personas. They are based on secondary research and the team’s best guess of who they are designing for. 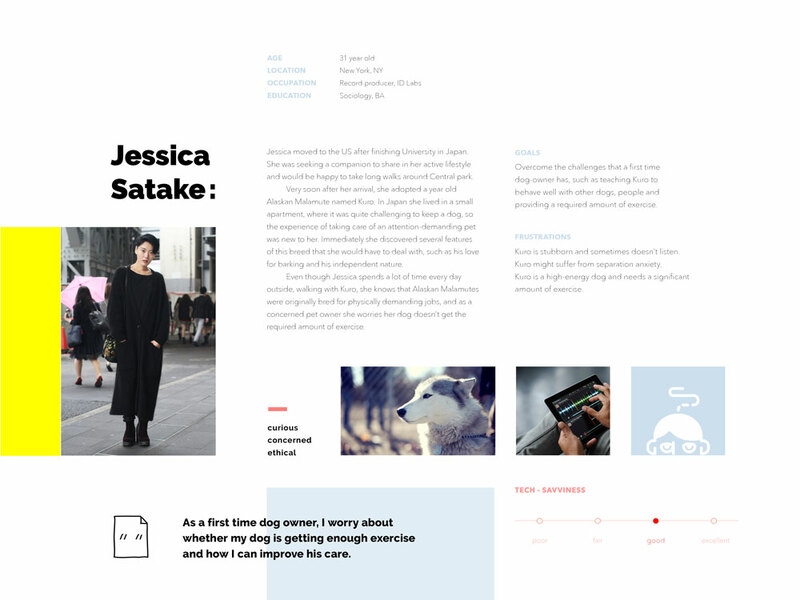 Although less than ideal, designing using a proto-persona is still better than designing with no persona at all. Finished Design Personas focus on user goals, current behavior and pain points, based on field research with real people. They tell stories about what people are doing and why in order to ultimately provide a service or product that really resonates with audiences and meets their needs. Personas are generally compressed into a one page document, but they are more than just a deliverable. Personas should be used as a tool to condense and communicate research patterns to others, regardless of the form they take. Where Did the Concept of Personas Come From? Informally developed by Alan Cooper in the early ‘80’s, they were devised as a way to empathize with the mindset of people who would eventually use the software being designed. Cooper would interview people among the intended audience of a project and began to get to know them so well, he would pretend to be them while evaluating things from their perspective. This framing technique put the user front and centre in the design process. 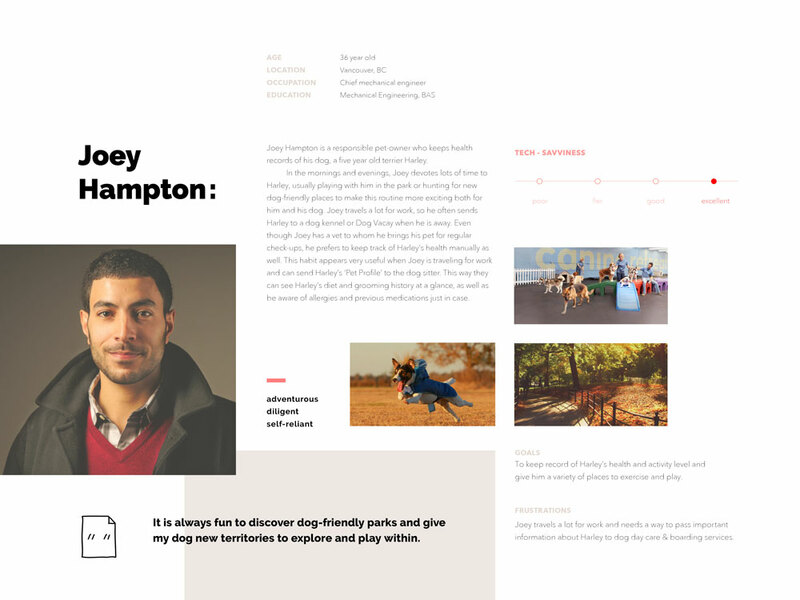 When Cooper shifted to consulting, he felt the need to formalize personas into a concrete deliverable that would communicate the user research patterns to those who hadn’t done the research themselves. The process of arriving at personas is an ever changing one, but the underlying premise is the same: deeply understanding your users in fundamental to creating exceptional software. By aggregating and creating mock personalities from research data, the designer can focus on a memorable cast of protagonists that are using the product to achieve objectives in their own stories – instead of trying to recall hundreds or thousands of individuals that make up the data itself. They are perfect for communicating research insights and a users goals while focusing on certain types of users. They remind designers to design for different types of people vs designing for ‘everybody’ which can quickly slip into designing for the elastic user or self-referential design. Personas are effective because they leverage the human ability to reach into the memories of our past experiences, weave narratives and share them with others. Like reading a book, the ability to feel the emotions, thoughts and beliefs of a fictional character is activated through personas, and is then channeled into product decision making. It’s easier for people to connect to relatable examples rather than abstract data. In the case of trying to decide what a user might do, imagining a person taking an action is much easier than pouring over data to inform the choice. This ability to keep the team mindful of the end user is at the heart of a persona. The result is a potent combination to help the designer avoid thinking in the abstract and focus on how the software could be used in a more concrete future. Personas are usually built by first conducting one-on-one interviews with a wide range of the software’s target audience. By gathering data in this manner, patterns inevitably emerge after approximately 30 interviews for a typical project. In-context research conducted in a respondent’s home or place of work is most effective, as one can gather information about user’s environments which can also provide insight into their behaviors and needs that might otherwise not be uncovered in other settings. Typically, researchers begin with broad conversation questions that ultimately narrows in on the use of specific services. Using a script can help with the consistency and relevancy of the data received, but shouldn’t be adhered to so strictly as to limit insights that might otherwise emerge. Analysis of the collected research data is then conducted over the course of a couple weeks, identifying extremes in user behavior and grouping similar users together. The resulting patterns define each user type and grant clearer understanding of who is using products/services and how. Depending on the methods employed, after the initial grouping of respondents by behaviour or demographics, you may wish to further interview to fill in any gaps from the first round of research and ask any follow questions that may have emerged during the data review stage. How Can You Implement Personas Effectively? Once your personas are in place, you can use them to design for customers with greater accuracy and confidence. When deciding on what to features are critical, you can look to your personas to guide you, “Gill would use this feature, but would Jack discover it and use it?”. Without considering the context of a persona’s typical needs, activities and environment, designers risk creating an experience that is disjointed, difficult or incomplete. A minimum of two personas in the process is what keeps the design team – and ultimately the product – connected to the end user. A good rule of thumb is to design for the primary persona and accommodate for the secondary. What maximizes persona effectiveness is using them in combination with User Journey Mapping and scenarios. This is the true story telling component of your persona. Now that you have your protagonist, you can begin to understand the journey they take, the goals they have and how you can help them get there. Finally, personas are only valuable when shared with as many colleagues as possible. Distribute them widely, post them on the walls. Your goal is to share an understanding of who you are really problem solving for and how together as a team you can build something great for them. But don’t forget to revisit them, because like people, personas do change over time.